Carl Thomas (born June 15, 1972 in Aurora, Chicago, Illinois, United States) is an African-American R&B singer. He attended Aurora East High School. Although Thomas was originally part of "The Formula" (Epic Records) who released a song, "Pass it Over." 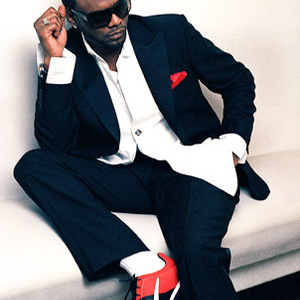 He is best known as an artist on Sean "P. Diddy" Combs' Bad Boy Entertainment record label. Among his most popular hits are "I Wish" and "Emotional", both from his 1999 debut LP, Emotional. His latest effort Let's Talk About It (2004) includes songs "She Is" featuring rap vocals by LL Cool J, "Make It Alright" produced by Mike City, and "Rebound" which was produced and written by singer songwriter Eric Roberson. He is featured on Amerie's album "Touch" (2005). He was originally going to be featured on fellow Chicago-native rapper Rhymefest debut album Blue Collar on the song LSD (Lake Shore Drive), but the song was not included in the album. He has left Bad Boy and now signed to Interscope. On the 2006 Tupac album Pac's Life, he was featured beside Tupac, Hussein Fatal and Papoose on the track Dumpin'. His first song recorded since being signed to Interscope is named, "Somethin' Bout Cha" which features the veteran R&B singer, Brandy singing backgrounds and some melody. No word on an upcoming album. Four new tracks are leaked: the new single, "I Thought You Should Know", "Two Pieces", "One Love" and "Oh No". On December 7, 2006, Thomas earned a Grammy Award nomination along with Chaka Khan, Yolanda Adams, and the late Gerald Levert for "Everyday (Family Reunion)", a song from the soundtrack of Tyler Perry's Madea's Family Reunion. The song received a nomination for Best R&B Performance by a Duo Or Group With Vocals.